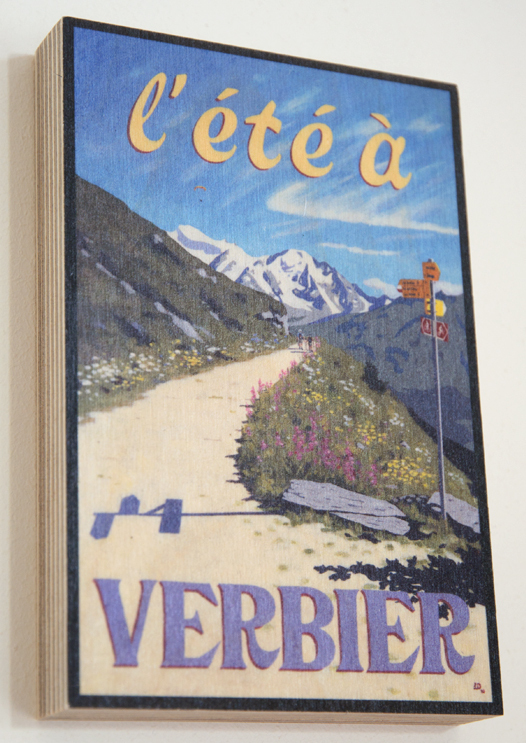 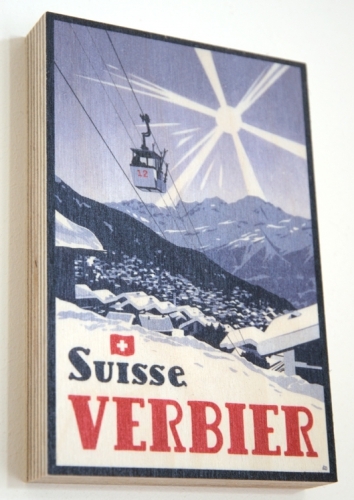 A direct print on wood of an original ‘poster style’ painting of the view in Summer from Verbier, Switzerland. 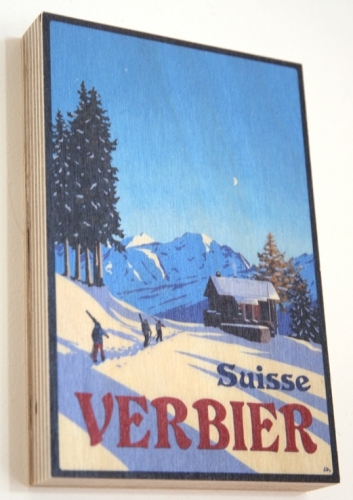 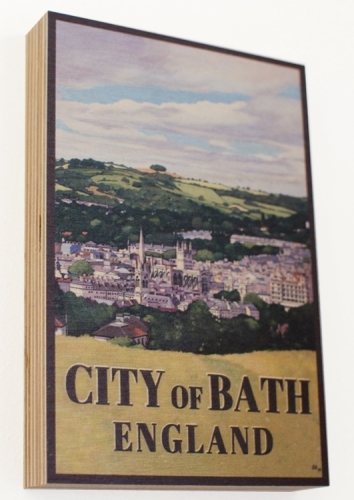 Printed directly onto 19mm birch plywood – the visible wood grain gives the image a very special look. 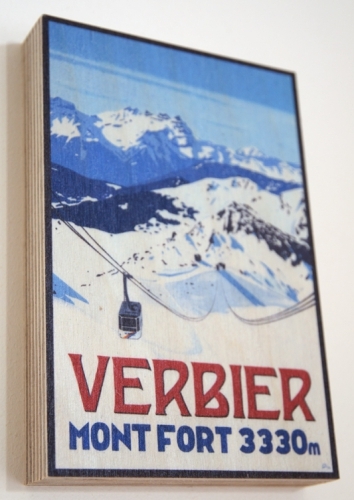 Arrives ready to hang with no need for a frame.